Little Mountain Earth Arts is growing. We welcome folks with shared values and passion who desire a career in progressive education. We have a variety of ways to be involved. 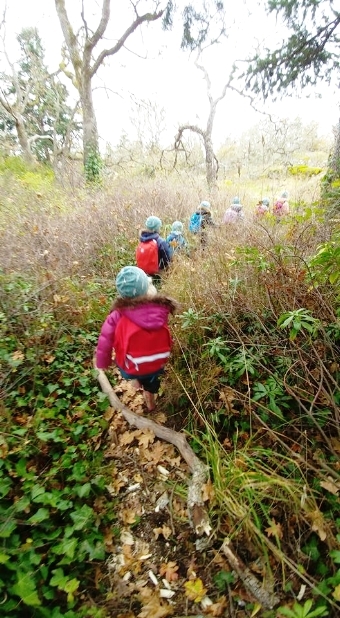 Would you like to mentor children ages 5-10 years old in afterschool, outdoor-based programs? We run these programs during the school year (even winter) and follow the school district 61 calendar. Currently we have sites at Saxe Point in Esquimalt and Portage Park in View Royal - Traditional lekwungen territories. We need experienced outdoor educators with knowledge in: local flora and fauna, local indigenous territories and current affairs and desire to learn about bioregionalism/place-based learning. Additional requirements: Emergency Childcare First Aid, Advanced Wilderness First Aid, 3+ years working with large groups of children, a cell phone.